You have a full-season lease, but can't attend every event. How do you resell the events that you can't attend? 43% of luxury suites go underutilized, which means your annual lease could be generating more ROI. We help businesses recoup some of their lease costs by renting out their suites when they aren’t using them. That&apos;s why Entrepreneur.com calls us "the Airbnb for luxury suites". List your suite using our custom-built Owners Portal. Sell as many events as you wish and update your listings anytime. 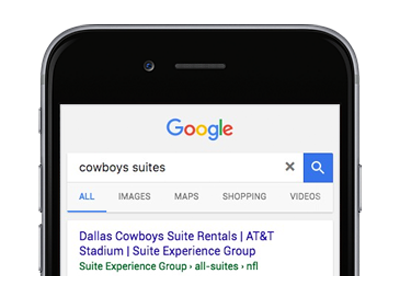 Suite Buyers shop for suites using our search- and mobile-optimized website. SEG vets every deal and handles payment, fulfillment, and security to ensure both you and the Suite Buyer are satisfied and protected. SEG is the only suite marketplace to be certified by the Association of Luxury Suite Directors (ALSD), an industry group for North American premium seating professionals. Members include teams and venues from the NFL, MLB, NBA, NHL, and MLS. 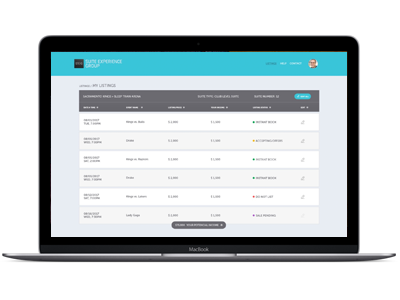 Our proprietary, custom-built technology makes it easy for sellers to configure which events to resell and what prices to sell them at, all while employing industry-standard security and privacy protections. We invest heavily in search engine optimization to ensure that prospective suite buyers find us. We rank highly for just about every relevant query, and we're #1 for many key phrases. "StubHub of luxury suites... the company connects suite holders looking to recoup some of their investment with fans who want a premium seating experience without a long-term commitment." "Suite Experience Group is matching unused skyboxes with renters, lowering barriers to suite access and opening the door for well-heeled executives and individuals to entertain in style without long-term commitments." "Don't want to commit to a 20-year lease? 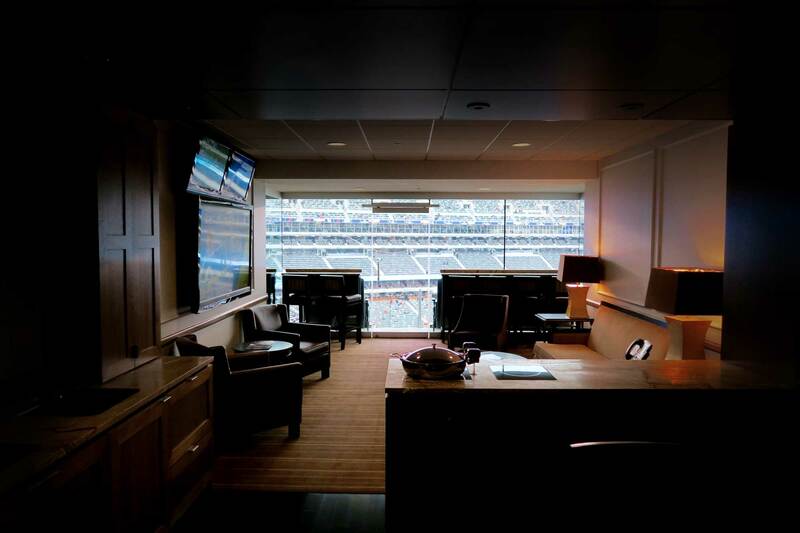 Rent unused boxes per game from the Suite Experience Group—the equivalent of StubHub for luxury boxes." Contact us and we will be happy to discuss your needs and goals, and answer any questions you may have about selling your suite with us. Please fill in the information below and click the blue button and we will contact you regarding your suite. Thank you for submitting your information. Someone from our team will be in touch soon. Thank you for submitting your information. Someone from our team will be in touch soon regarding your suite.